Technology has a way of defining the times that create it. That’s why we have so many technological “ages.” Humanity has seen the Stone Age, Bronze Age, and even the Atomic Age. In a way, the current Digital Age is just repeating history. Like those past ages, the Digital Age features one epoch-defining technology (the Internet) that people try to apply to everything. If the past is any indication, that won’t work. In 1945, the United States dropped two Atomic bombs on Japan, ending World War II and beginning an age of nuclear experimentation. In hindsight, playing around with radioactive materials seems a tad silly, but in the 1950s scientists couldn’t get enough of the stuff. As with the Internet and stone tools, nuclear reactions quickly outgrew their original use. Navy Admiral Hyman G. Rickover quickly figured out that nuclear powered ships would almost never have to be refueled; the nuclear submarine USS Nautilus was launched in 1954. Concurrently, nuclear reactors were seen as a way to provide limitless quantities of cheap electricity. That’s when things started to get out of hand. 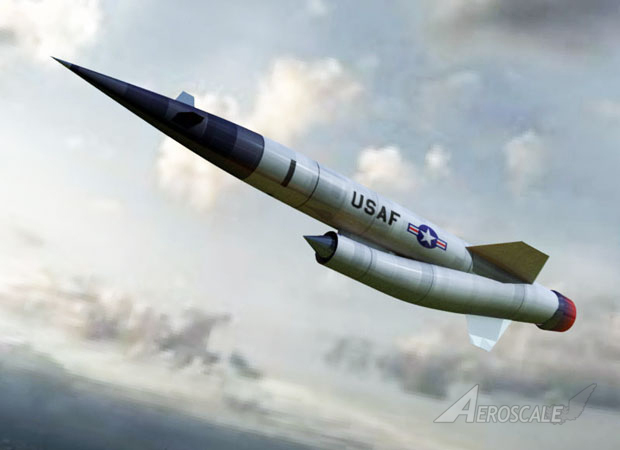 Soon, the Air Force was testing airborne reactors for a nuclear-powered bomber. 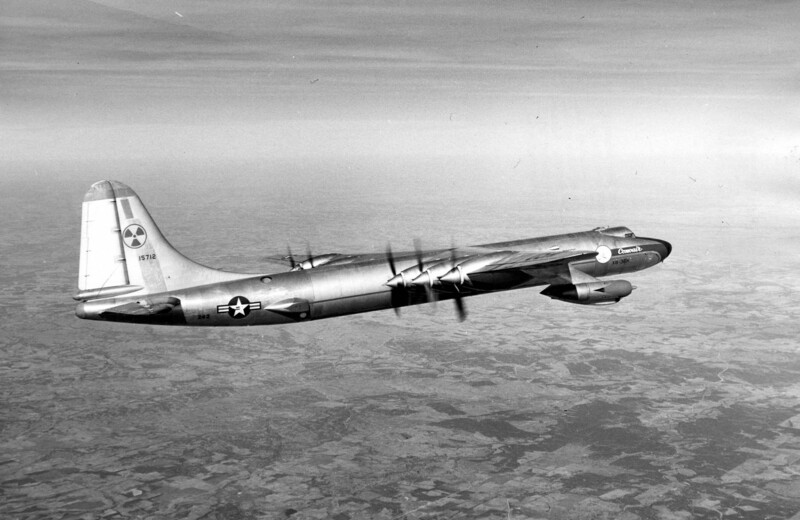 In addition to the obvious safety risks, the reactor and its shielding would have been so heavy that the nuclear bomber would have had trouble taking off. 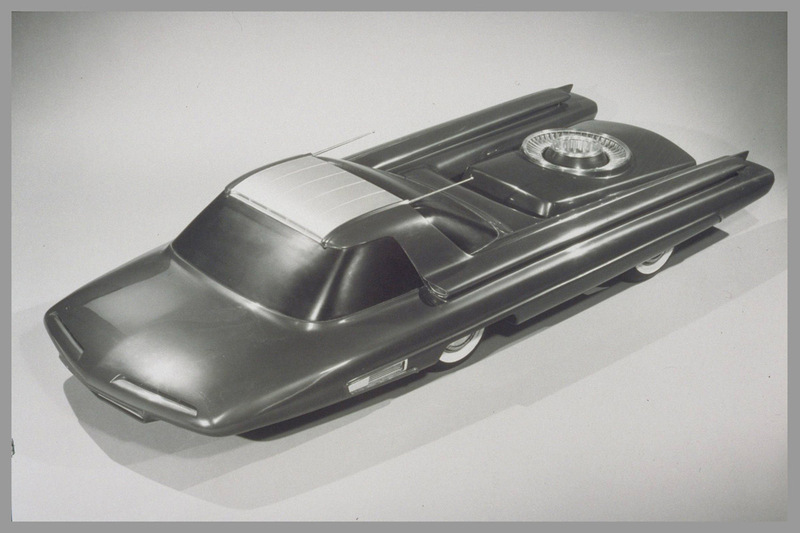 Ford even created a (non-functioning) atomic car, the Nucleon, for the 1958 auto show circuit. But these were fringe ideas; no one would actually buy a nuclear-powered car. No matter how great a new technology seems, it can’t fit every application. The best example of that is a less-ambitious project: the nuclear cargo ship. 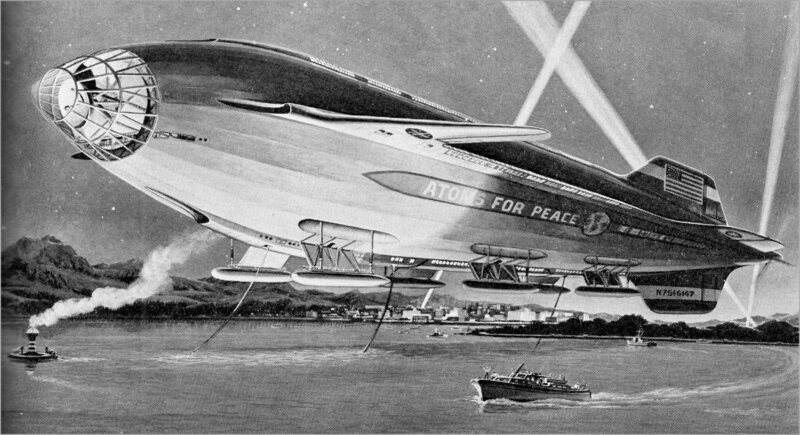 In 1955, President Eisenhower proposed building such a ship as part of his “Atoms for Peace” program, which was meant to showcase peaceful uses of nuclear technology. The NS Savannah seemed like a perfect case: it took the nuclear propulsion technology from Navy warships and applied it to civilian commerce. 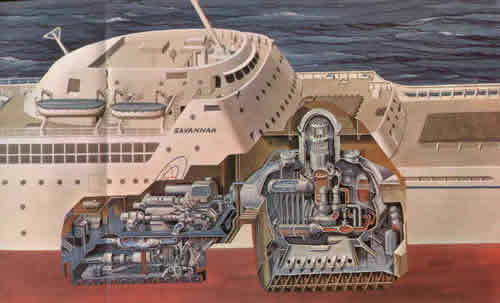 By the time the Savannah was launched in 1959, the Nautilus had already logged over 60,000 nautical miles on nuclear power, and sailed under the North Pole. Atomic seafaring seemed like a sure bet; like the Nautilus, the Savannah was meant to demonstrate the effectiveness of atomic energy. The keyword is “seemed.” Nuclear power may have worked on an attack submarine, but it was not ideally suited to hauling freight. In fact, the Savannah’s novel system of propulsion upset an ancient precedent in maritime labor. Traditionally, deck officers on merchant ships were paid more than engineering officers. However, on the Savannah, the engineering officers needed extra training to run the ship’s reactors, earning them more pay than the deck officers. The labor dispute ultimately made the ship economically unfeasible. The cost of running a nuclear ship completely outweighed the Savannah’s positive attributes. 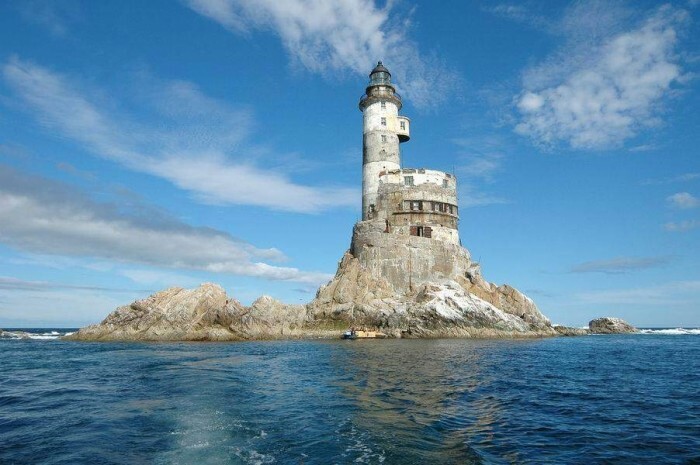 She could steam at a heady 24 knots consistently, and only needed to be refueled once every 20 years. Still, the U.S. Maritime Administration determined that it costs $2 million more per year to operate the Savannah than a conventional cargo ship. Nuclear technology was simply too complex for the low-budget world of international shipping. Unlike the Navy, shipping companies only cared about profits, and they didn’t need the Savannah’s speed and fuel economy, not when oil was so cheap. Today, we risk falling into the same trap. Both private companies and the government think the Internet is the solution to everything. They believe people’s bills, medical records, and shopping will be inherently better in digital form. Digital technology has given the world some amazing things, just as nuclear technology gave the world the Nautilus and the atomic clock. Yet not every problem can be solved with an app, just as not every vehicle can work better with a nuclear reactor.